We just returned back home to Durham after a nice visit to London. My parents are here visiting us for a few weeks so we all popped on the train for a few days to soak up as much of London as we could. London is a beautiful city, full of so much history and culture. If you ever find yourself in London here are some incredible things to see and do. The best part is not one thing on this list will cost you even a penny. 2. Stand on the steps of St. Paul’s and sing “Feed the Birds” from Mary Poppins. 3. Visit the Natural History Museum – I loved the building and could have spent days looking at the architecture inside and out. The animals are really cool too. 4. Visit the British Museum. You could spend days in this magnificent place and still not see it all. Treasures from around the globe are housed here. 7. Remain at number 6. Climb up on one of the four lions and have someone take your photo. 8. Remain at number 6. Go to the National Gallery and view beautiful art from around the world. 9. Visit the World of M and M’s and see the giant flag made of these yummy chocolate delights. 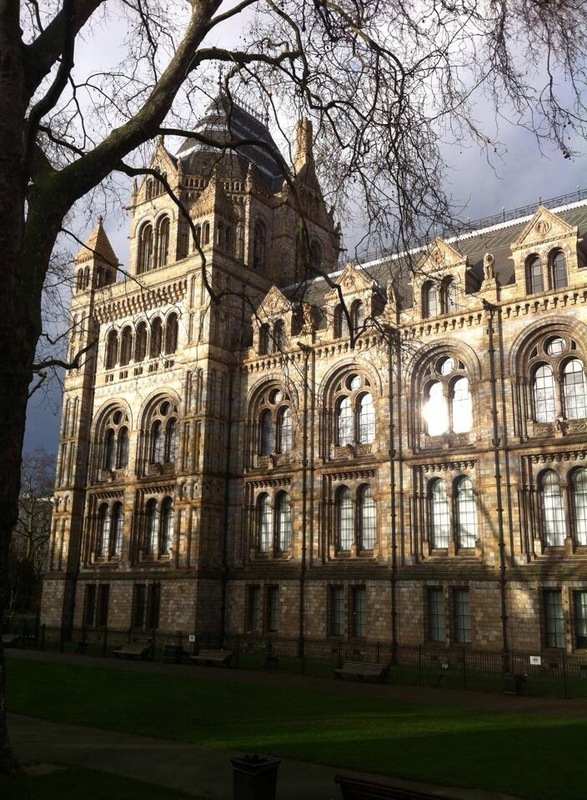 Here is a photo of the outside of the natural History Museum. More tomorrow. ← You have probably NEVER seen Big Ben.